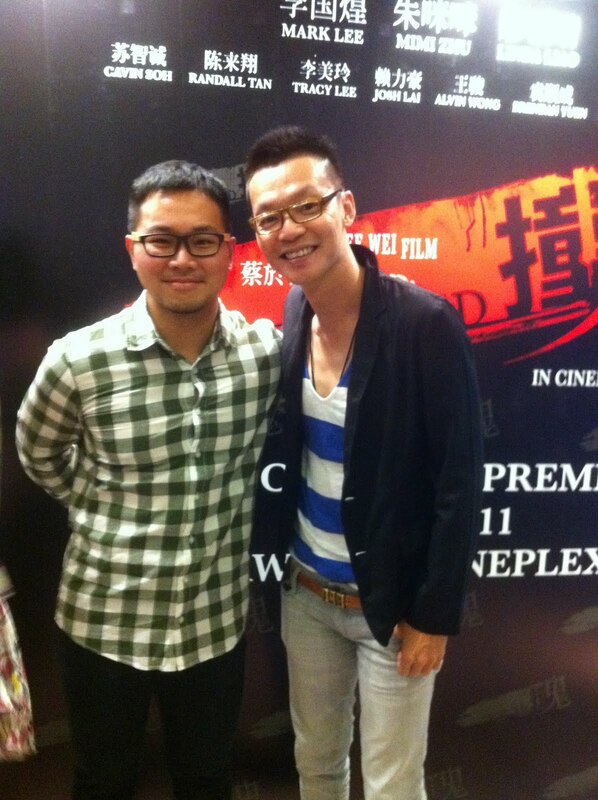 Be prepared to scream and half the time in laughter when you catch director Chai Yee Wei's latest film 'Twisted' or 撞鬼. A cross-breed between horror and comedy, this film promises to entertain and we promise it will if the gala screening was anything to go by. The only thing you will miss is the boisterous entertainment provided by the star-studded cast of Twisted who hammed it up for a series of promotional activities over the weekend. The Star-studded Tour started with a press conference held on 22 July 2011, at K Box, K Union Orchard Cineleisure. During the press conference, Director Chai Yeewei 蔡於位 and cast Mark Lee 李国煌, Zhu Mimi 朱咪咪, Cavin Soh 苏智诚, Joey Leong 梁祖仪 and Josh Lai 赖力豪 greeted members of the media and shared their roles and filming experiences. (video taken from XINMSN)The cast comment on the ways they were styled for the movie. 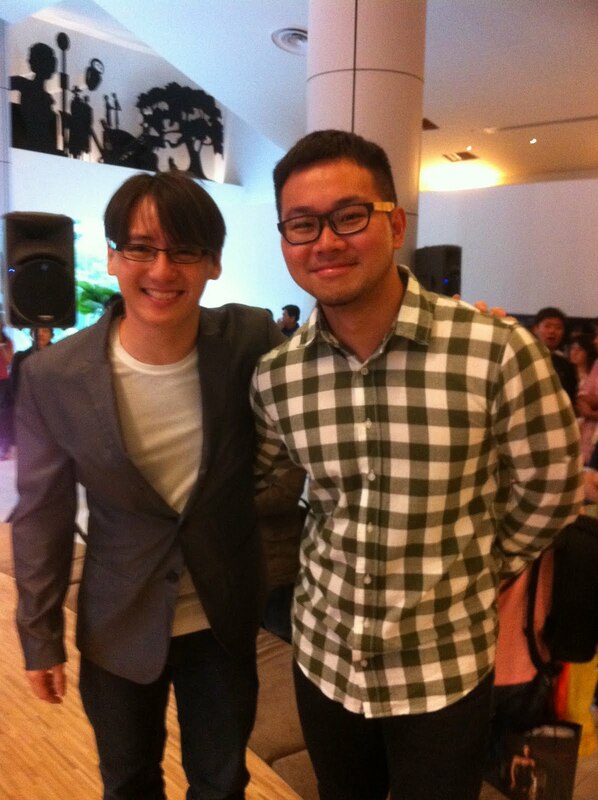 Mark Lee admits to being the quintessential 'Ah Beng' and readily agreed to the role at the start. Joey shares about the monster she was made up to become in the movie. 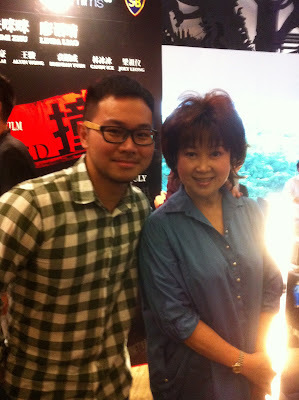 Veteran HK actress Zhu Mi Mi also shares about how this movie is her film with a Singaporean director. 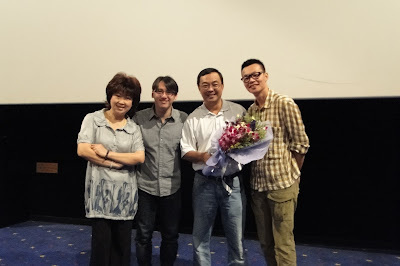 The cast with the producers of the movie. 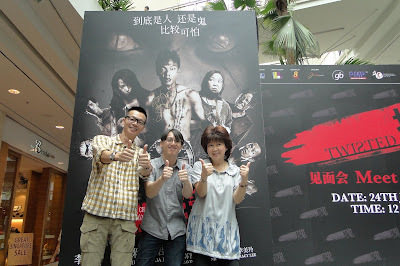 On 23 July 2011, the Gala Premiere of 《撞鬼》Twisted at Shaw Lido Cineplex was attended by Director Chai Yeewei 蔡於位 and cast Mark Lee 李国煌, Zhu Mimi 朱咪咪, Cavin Soh 苏智诚, Joey Leong 梁祖仪, Josh Lai 赖力豪, Randall Tan 陈来翔, Alvin Wong 王骏, Brendan Yuen 袁顺成 and Tracy Lee 李美玲. 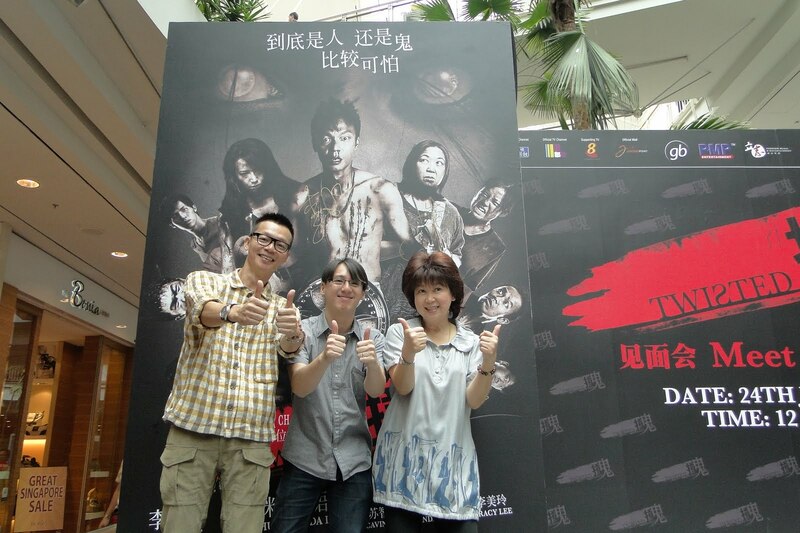 The director and cast made appearances at Shaw Lido’s centre stage and cinema halls to greet all guests. The enthusiastic crowd even tried to make their way onstage to take photos with the stars of the movie. On the third day of the campaign tour, Director Chai Yeewei 蔡於位, Mark Lee 李国煌 and Zhu Mimi 朱咪咪 arrived at Jurong Point Shopping Centre to greet their fans and supporters.The trio played entertained the crowd with their candid conversation and the crowd was obviously tickled by the combination of funny man and veteran HK comedian. They even changed the pre-planned stage game and came up with their own version of “show your scary face” as Mark scared the contestants out of their wits. The Community Gala Premiere held at Golden Village, Jurong Point followed after the meet and greet session which was held with the aim of exposing more Singaporeans to local productions, and to increase their support towards local talents and films.In support of local movies, the Community Gala Premiere was attended by grassroots members, residents & Member of Parliament for Pioneer, Mr Cedric Foo. 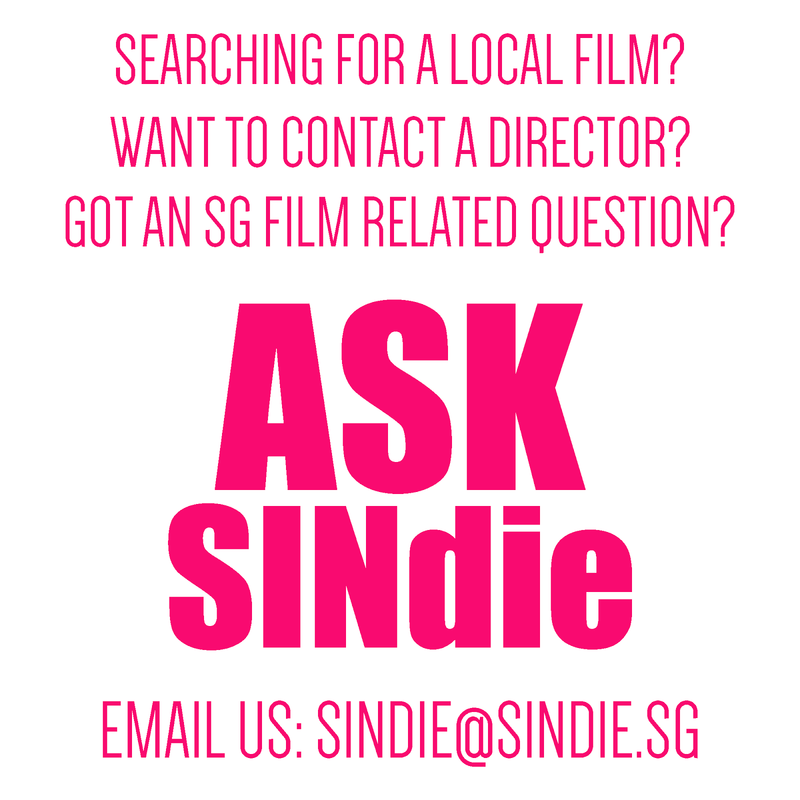 《撞鬼》Twisted is distributed by Clover Films and Shaw Organisation in Singapore. The movie is slated for release on 28 July 2011. Know more about Twisted the movie in our interview with Chai Yee Wei earlier this year.